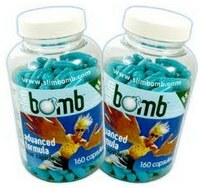 Slim Bomb has become one of the best selling pills in the UK, is manufactured by Dplan, a UK company that runs an online store with similar diet products and personal care items. Slim Bomb or “the little blue pill” advertises itself as the innovative well-researched slimming product that is the result of a long scientific study in the field of weight loss products. For several years now, Slim Bomb has been sold online through several websites, has become popular with UK dieters, and now its new formula is advertised as the most effective Slim Bomb ever. Slim Bomb is a product that can fall into several categories. According to its official website, the pill is a fat burner which promises extreme weight loss in a rather short time, and an appetite suppressant which will fight your hunger and cravings for “forbidden” foods. Its target group is mainly women but according to manufacturers it works well for men too. A completely natural product, Slim Bomb doesn’t have anything to do with the chemicals the word “bomb’ may bring to mind. 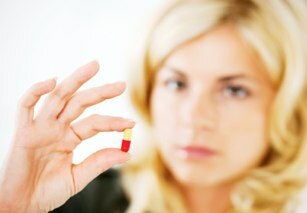 The pill is an appetite suppressant, a fat burner and an energy booster. Fat burning is achieved through the many stimulants the product contains. Stimulants cause thermogenesis which increases the metabolic rate of the body. However, none of the ingredients the pill contains seems to be an effective appetite suppressant. What Does Slim Bomb Contain? There are no known serious side effects as Slim Bomb contains only natural ingredients. However, in some cases dieters may experience a sense of anxiety or restlessness and if the pill is taken in the evening, it may cause symptoms of insomnia. Another “side effect” could be the disappointment you may feel when you don’t lose as much weight as you had expected to. How Effective Is Slim Bomb? Although the product seems to be one of the most popular and best-selling diet pills, there are no clinical results to support its effectiveness. Can be purchased online via a multitude of vendors. Also in the high street at some independent high street retailers. There are several slimming pills that can be given preference over and above the Slim Bomb including Capsiplex, Garcinia Cambogia and Raspberry Ketone. Capsiplex in particular contains a fraction of the ingredients that is present in the Slim Bomb with offering much potency by focusing on the ingredients that are the main providers of the mechanic of action – or fat burning to be more concise.